UIDAI also said that all the necessary precautions are taken to safeguard the data and it ranges from full encryption at the time of enrolment, which makes it tamper resistant, to stringent audit mechanism and monitoring. The Unique Identification Authority of India (UIDAI) said unless an individual gives his biometric details, no operator can make or update Aadhaar, slamming reports that Aadhaar software was hacked. In a statement, UIDAI said its system cannot be bypassed and has refuted all claims that its software and ID database was compromised, saying such claims lacked substance. "Certain vested interests are deliberately trying to create confusion in the minds of people which is completely unwarranted," UIDAI said reacting to a news report of Aadhaar enrolment software being hacked. UIDAI said when a person is enrolled for Aadhaar the software matches all the biometrics – 10 fingerprints and both iris – with the database of all Aadhaar holders before issuing an Aadhaar number, so the claims that information can be introduced into the database are completely unfounded. UIDAI also said that all the necessary precautions are taken to safeguard the data and it ranges from full encryption at the time of enrolment, which makes it tamper-resistant, to stringent audit mechanism and monitoring. It further clarified that no operator can make or update Aadhaar without the presence of the Aadhaar holder and listed the strict enrolment and updating procedures followed by it. "So it is impossible to introduce ghost entries into the Aadhaar database," the UIDAI statement said. UIDAI said if an operator is found violating the processes or indulging in corrupt practices, he is blocked and blacklisted and a penalty of Rs 1 lakh imposed on him. Till date over 50,000 operators have been blacklisted, the Aadhaar-issuing authority said. 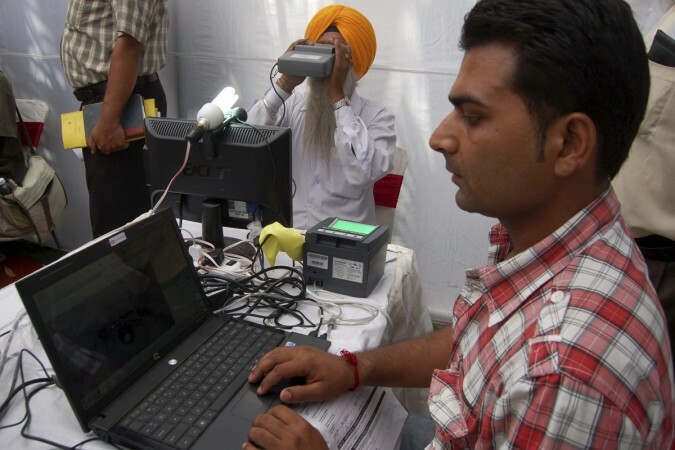 UIDAI said people should only approach authorised Aadhaar enrolment centres set up in banks, post offices and government offices to ensure that enrolment/update is done on authorised machines.